A couple months ago I was in NYC and I always stop by the MOMA Store for presents for my kids. (They have a great buyer!) My boys are really into science projects lately so when I saw these clever modern science projects I picked some up as gifts. My kids LOVED them. They are really well done. So when Technology Will Save Us contacted me about working together I told them I was a HUGE fan already. 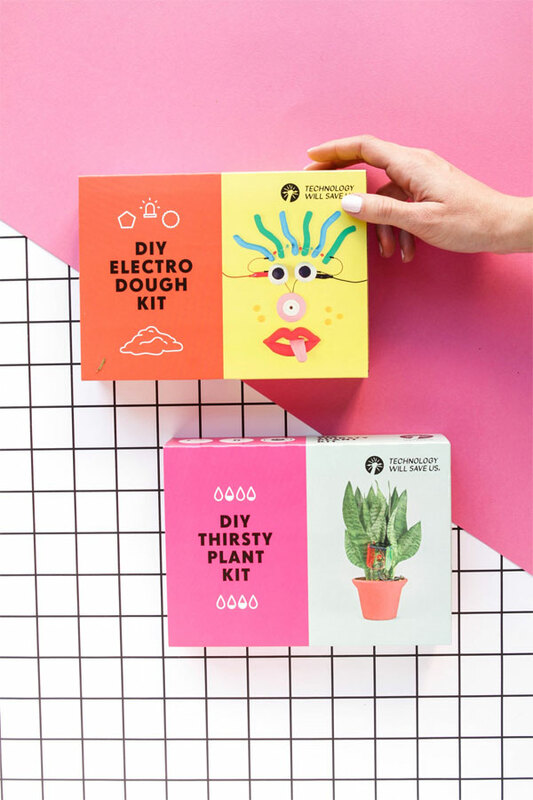 We bought the DIY Electro Dough Kit and DIY Thirsty Plant Kit but you can see the full shop here. 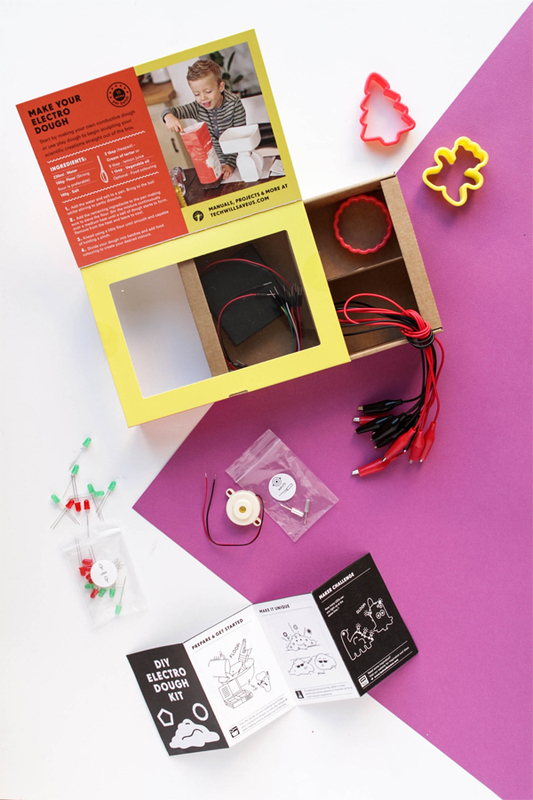 These make fantastic gifts and I love giving my kids presents that encourage them to be curious and learn. 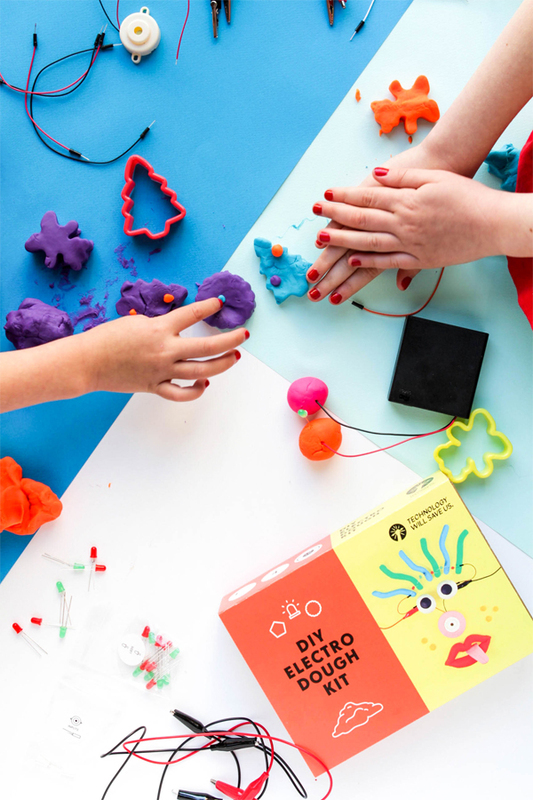 Each kit contains a creative project with ingredients and an online guide. Plus the packaging is really modern and fun. I bought mine months ago and my kids still pull it out a few times a week. They are great little projects and I highly recommend them! Right now, Oh Happy Day readers can get 15% off Technology Will Save Us products! Just use the code “OHHAPPYXMAS”. This post is sponsored by Technology Will Save Us. 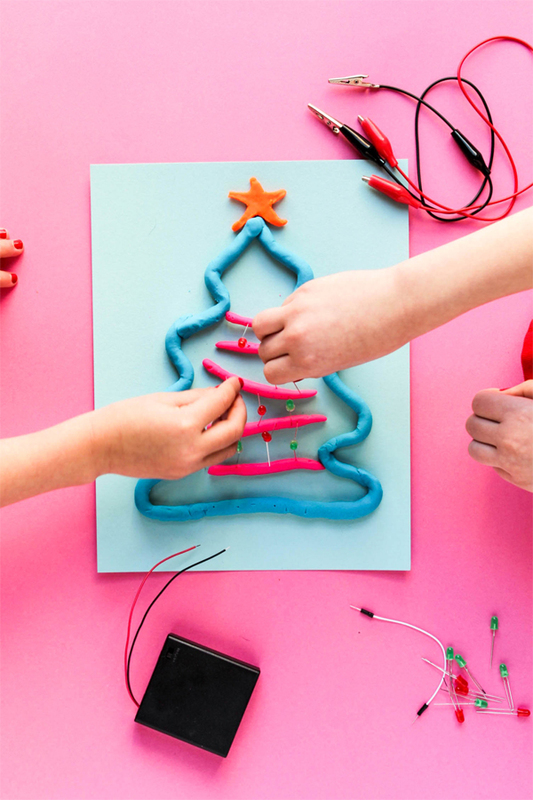 What a super cute and cool gift idea for kids! 90% or more of what is sold at the MoMA Design Store is actually selected by the museum’s amazingly talented Design Curator Paola Antonelli. I have restrict how often I go there, because I always end up buying everything in sight! I bought a technology will save us kit for my son last Christmas. Not only was it very good but the after sales help from the company was fantastic. My son got stuck with some tricky bits and they helped him out via emails.